Leading manufacturer and distributor of Ground Engaging Tools, offering a comprehensive range designed to suit a wide range of machinery. With branches and distributors located in prime geographical areas throughout southern Africa, REW is able to provide the Earthmoving and Mining industries with a cost effective supply and efficient distribution network. Established in 1977, Rocktech Esizayo Africa continues to serve as a leading manufacturer and distributor of Ground Engaging Tools, offering a comprehensive range designed to suit a wide range of machinery. With branches and distributors located in prime geographical areas throughout southern Africa, REA is able to provide the Earthmoving and Mining industries with a cost effective supply and efficient distribution network. 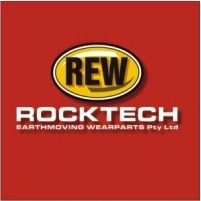 Rocktech is a local manufacturer of Earthmoving Wearparts, REA provide the opportunity for local growth within the sector. Further afield, we have built and maintain a strong presence throughout Africa by supplying developing countries with our products, thereby aiding in the construction and development of their infrastructures. Through our international network and close cooperative relationships with construction sites, quarries and mines, REA ensure that we are always up-to-date with all the latest innovations and techniques in the design and manufacture of quality wearparts. Our proud tradition of service excellence will certainly be preserved as our client base continues to extend well into the future. Tags: Grader Blades, Motor Grader Circle Group, Blade brackets inserts, hitch plates and bronze wear strips, Cast high quality shanks, ripper and scarifier teeth, pins and locking devices, Cast Extra Wear Life End Bits for larger bulldozers, Hot cupped ends for smaller machines, Cast Ripper Shanks, Heavy duty tips, Shank protector, Heel Shrouds, Lip Shrouds, Leading Edge protectors, Wear Buttons, Chocky bars, Cat Type Excavators Systems.